Leaked videos of NBA 2K16 taken from Gamescom 2015 in Cologne, Germany have surfaced online. While the game isn't playable, there are videos playing at the event. The footage is a little bit shaky as it’s recorded off the screen, but it still gives us a small taste of what’s to come. 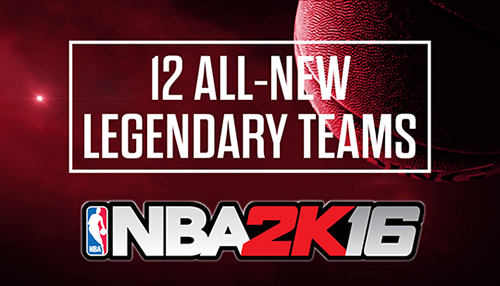 The first video revealed that there will be 12 new classic teams in NBA 2K16, two of them are the 2003 Dallas Mavericks and the 2000 Portland Trail Blazers. As previously revealed, the '99-'00 Raptors, '07-08 Celtics and '00-'01 Lakers are also included in the game. NBA 2KTV returns in NBA 2K16! It's a show that will feature player interviews, behind the scenes, game tips, contests, locker codes etc. NBA 2K16 launches on September 29th for PC, PS3, PS4, Xbox 360, and Xbox One. We'll keep you up to date on news relating to NBA 2K16 as it's revealed.